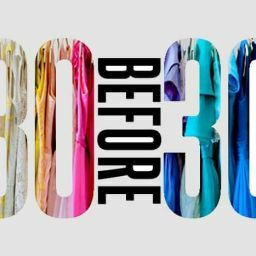 Categories: Bed Sheets, Silk Flat Sheets. 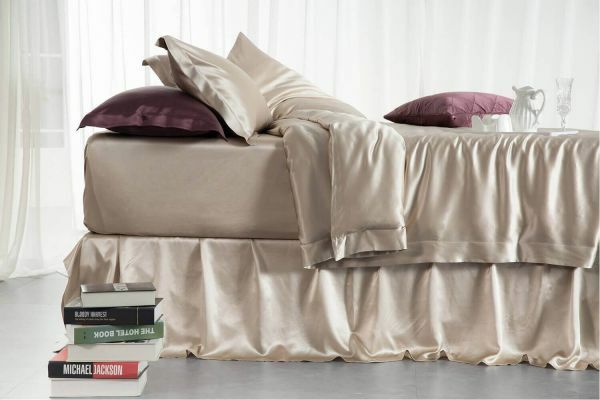 Dress your bed in elegant and luxurious silk flat sheets from Silk Only. Our silk sheet sets are gorgeous to look at and an ultra comfortable way to a good night’s sleep. 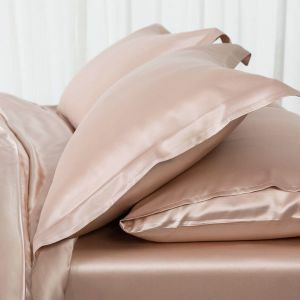 Hypoallergenic, kind on your skin and hair, and able to wick away excess moisture, silk has many natural benefits that can contribute to better sleep. 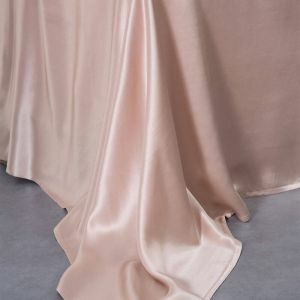 Hand crafted from 100% Mulberry silk with immaculate stitching, a charmeuse weave finish, and a momme count -- the measure of silk's weight -- of 22, available in Ivory, Champagne, Silver Grey, Charcoal and Soft Pink. 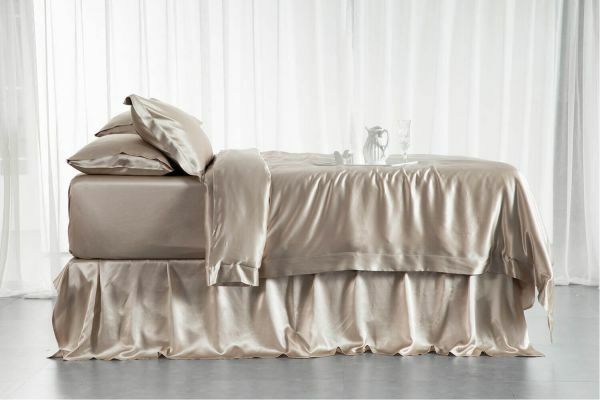 Our flat silk sheets will bring a whole new level of luxury to your bed. 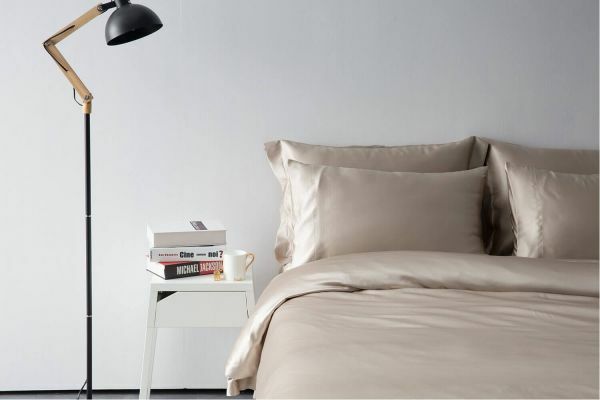 A silk flat sheet is easy to care for, and is available in eight contemporary colors to suit any decor. Mix and match your silk sheets set with coordinating or contrasting colors to add drama to your bedroom. All of our 100% Mulberry silk sheets are available with matching fitted silk sheets or pillow cases, and come in both King and Queen sizes.